The Asia-Pacific region is cementing its position as the focus point for the international IP market as its rapid development drives deal making, IP investment and litigation trends. Against this background, IAM returned to Tokyo for the fifth IPBC Asia, hosted at the Palace Hotel from October 29 to 31 2017. 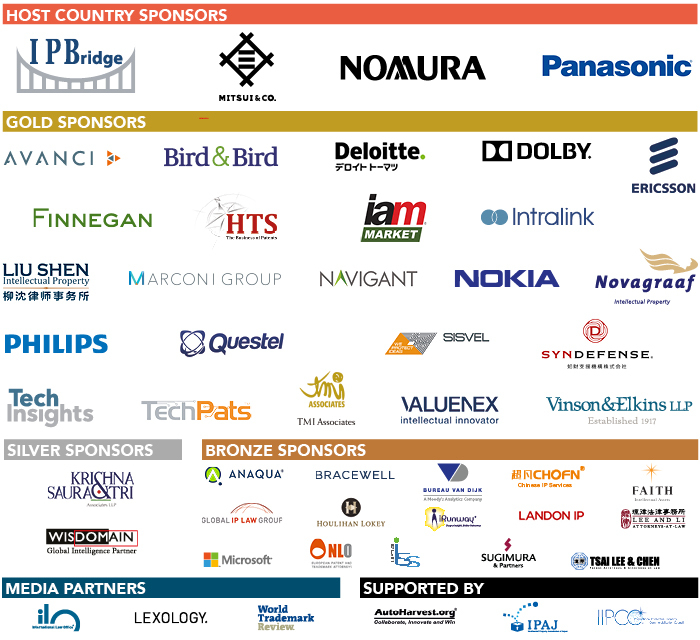 Returning to Japan, Asia’s IP powerhouse, IPBC Asia 2017 was the largest yet – leveraging IAM’s extensive relationships with the Japanese IP community and the phenomenal success of previous IPBC Asia events to gather an unparalleled audience of corporate IP leaders from Japan, the region and across the globe. We’d like to thank all our attendees, partners and sponsors for making the event such a phenomenal success. IPBC Asia is the only event in the region that focuses on how IP owners can strategically use intellectual property to secure greater operational flexibility, drive revenues, enhance bottom-line returns, increase shareholder value and provide leverage in the financial markets. As in previous years, sessions explored key issues associated with IP value creation, but with a specifically Asian flavour. Our faculty of speakers comprised individuals in charge of intellectual property at some of the region’s most forward-thinking companies, as well as senior players in the global IP market. Their unique insights and experiences provided delegates with a thorough understanding of IP value creation strategy, as well as the many challenges that IP owners must address both now and in the future. Looking ahead to 2018, IPBC Asia will be returning to Shanghai from December 2-4. For more information on the 2018 speaking, sponsorship or attendance opportunities, please contact Daniel Cole on +852 5665 5774 or dcole@GlobeBMG.com. View the IPBC Asia 2017 photo gallery here.